They don’t cost much to make. Without writers or actors, reality shows can skimp on one of the most costly elements of the production process. 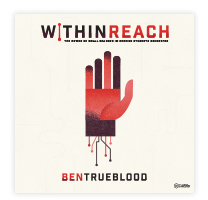 While there is certainly some element of scripting and reimbursement to those who participate, it doesn’t compare the the costs of members of the Writers’ and Actors’ Guilds. They are (typically) easier to produce than scripted shows. No need to fuss with messy story lines or actors holding out for more pay or falling ill and needing time away. With reality TV these things either don’t happen or become a part of the show when they do. They don’t require much of the audience. Let’s face it, reality TV doesn’t ask much of those who watch it. Even if you haven’t tuned in for weeks at a time, the nature of reality television lends itself to a quick watch without the need to know what has happened before. This is especially true in the competition type shows. Like it or not, reality TV is here to stay for these reasons. So what does any if this have to do with student small groups? The sad truth is we can look at these three components and apply the same reasoning to our groups ministry. We budget hundreds or even thousands for week long experiences like camp but cringe when we have to spend anything on discipleship. Just as reality shows are easy to make because of the budget, student ministries often make decisions about discipleship based on what they can get for free or at the lowest possible price. 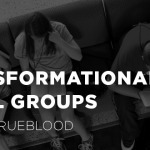 This can have a major impact on the quality of what students get out of the groups ministry. We operate our groups with convenience in mind rather than effectiveness. 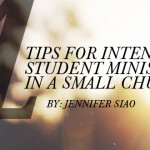 Yes, it does take more time to plan out what your students will study and how that will impact their spiritual growth. Too often we allow the ease-of-use mindset impact our decision for what and how we will approach student groups in our church. We don’t ask much of our attendees as long as they attend. Too often we take notes on the back of the offering envelope during the Pastor’s sermon to serve as our student’s guide for their groups. When we settle for their attendance without focusing on their spiritual development, we create a culture that bears no reflection of a disciple who dies daily to follow Jesus. Wow. I feel punched in the gut writing this. I have all too often implemented each of these components at one time or another. I believe God wants more for our students though, and I’ll bet you do too. 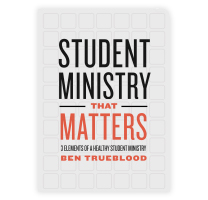 Let’s agree to make the discipleship arm of our student ministries about more than just getting students to attend. 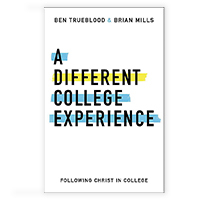 The reality is that discipleship is costly and until we lead like we believe that, we will have to settle for shallow spiritual growth our students will get instead.